Staff at North Star Stables Ranch, Comox Valley. Estelle Shaughnessy is a 1984 graduate of Mount Senario College in Ladysmith, Wisconsin. She holds a Bachelor of Science in Equestrian studies and is a Meredith Manor Riding Master III Certified Coach. She has been involved with horses and in the horse industry for 35 years. In 1975 she invested in brood mares and was involved in the Quarter Horse industry in Montana and Texas. She and her family started North Star Stables in 1987. 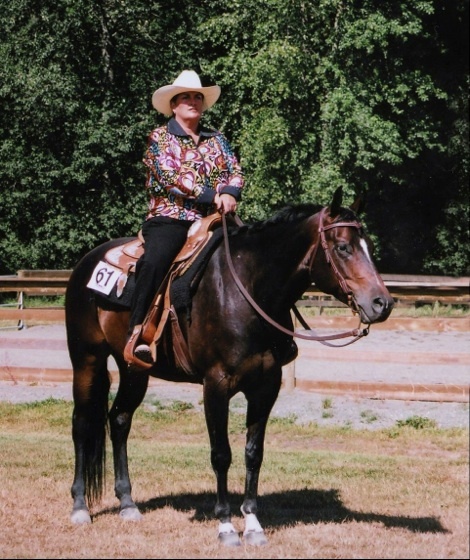 Estelle has a long history of coaching many local youth of all ages in Hunter, Jumper, Dressage and Western Performance with many reaching High Point Year End Championships.